The rock 'n' roll fanatic John Lennon used his 16th birthday money to buy two much-prized 78rpm records. While each was quite different, they both had a marked influence on the young Lennon. 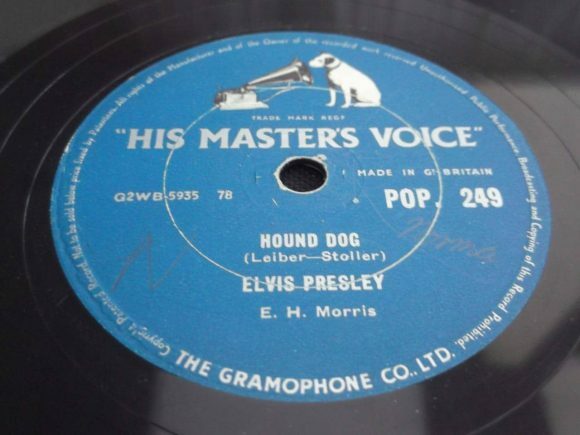 Elvis Presley's Hound Dog was backed with Don't Be Cruel, both songs destined to become classics. The other vinyl disc was by The Goons, the comedy troupe whose broadcasts Lennon cherished. The release in question was The Ying-Tong Song, written by Spike Milligan, which reached number three in the charts in 1956. Vinyl 78s? I don’t think so.. There were a few experimental 78s made in vinyl at the end of the era but I never heard of Elvis or The Goons on anything but shellac.